Ciaran McGuckin LSWPPThis shows the qualification attained by Ciaran McGuckin within the SWPP and associated societies. 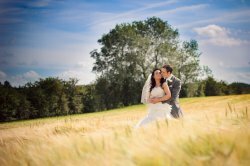 Ciaran McGuckin is a county Derry based photographer specialising in a specific style of wedding photography that combines a photojournalistic style with key arranged shots. To ensure the correct balance is achieved, frequent communication with the couple is encouraged particularly in the weeks prior to the wedding. This communication is extended post wedding to ensure the couple receive an album they will treasure for life.